Alain de Changy (born 1922) entered a Cooper in the 1959 Monaco GP and although he was the 20th-fastest in qualifying, that wasn’t enough to make it onto the 16-car grid for what was his only grand prix appearance. Hector Rebaque (born 1956) started his F1 career with Hesketh in 1977 and the following year decided to set up his own team, ingeniously called ‘Rebaque’. Running a Lotus 78 in 1978 and the championship-winning Lotus 79 in 1979, success was minimal (despite the fetching brown livery) and there were plenty of failures to qualify. 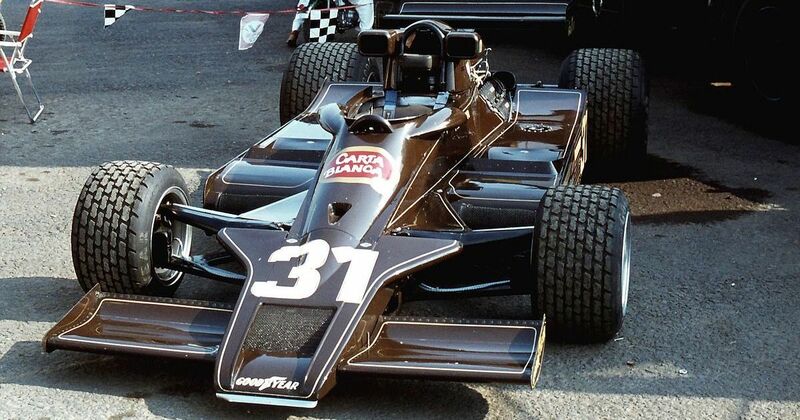 He commissioned his own car to be built and for the last three races of 1979, Rebaque raced in ‘his’ own car - the Rebaque HR100. He only qualified for the Canadian GP and ended up retiring from the race, but it was a significant moment. F1 drivers had frequently started their own teams in the 1950s and 60s (Brabham and McLaren are the two obvious ones) but by the 1970s it was becoming more and more uncommon. Rebaque would be the last driver to start a race in a team he’d founded himself (Emerson Fittipaldi continued to race for Fittipaldi in 1980, but that was technically his brother’s team). That would be the last race for the team Rebaque, but the driver Rebaque had more to give. Halfway through 1980 he joined Brabham and remained at the team for 1981, where a trio of fourth places ended up being his best career results. Not bad, but not great either - teammate Nelson Piquet won the championship.